It is with great sadness that we recently learned of the death of one of our colleagues, Dr Helen Walker. Helen died peacefully in her sleep on 19 September, after a short illness. Working in the Space Physics and Operations Division at STFC’s RAL Space, she made a significant contribution to astronomy and space physics over many years, with a large number of publications and an enviable reputation, both in the UK and internationally. Until her sudden illness, Helen was playing a hugely influential role in a wide range of space science projects including Cluster, an ESA mission to study the Earth’s magnetic field and its interaction with the Sun, and MIRI, one of the instruments due to fly on NASA’s James Webb Space Telescope, the successor to Hubble. MIRI Principal Investigator Prof Gillian Wright recalls that Helen joined the MIRI team in 2008, and spent long hours working on shift at both RAL and NASA’s Goddard Space Flight Centre in support of the instrument test campaigns, contributing to their success. She was also Mission Operations Manager for the UK Space Agency’s pilot cubesat mission, UKube-1. At the Agency we will remember Helen’s tireless and unstinting work on this project, which exemplified her natural inclination to make the greatest possible success of whatever she was involved with. Helen had a true passion as a populariser and supporter of astronomy in the UK. She had been Secretary of Royal Astronomical Society Council and Treasurer of the Society for Popular Astronomy. She made frequent media appearances, including being a regular guest on programmes such as “The Sky at Night”. 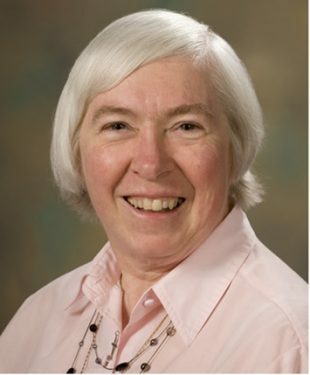 In particular, Helen was a role model for women in science, Chairing the ‘She is an Astronomer’ project for the IAUs International Year of Astronomy in 2009, and was a passionate advocate of the vital importance of equality and diversity in this field. Her dedication, expertise and good humour will be sorely missed by those who knew her and worked with her. Helen and I were friends at University and she was a bridesmaid. I have only just heard of her death and would like to pass on my condolences to friends and family.